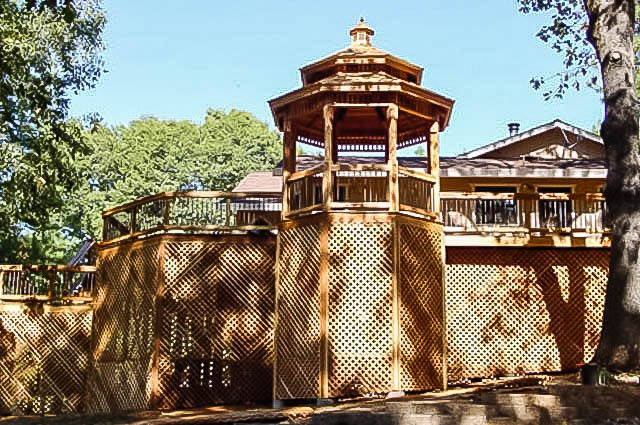 Traditionally, when you hear the term gazebo, you imagine an octagonal white garden building. A modern version is just as likely to be square, rectangular, or round; have sleek lines; and sit close to the house, to encourage outdoor dining. They can even be built right into a porch or onto a deck, patio, or pool surround. Gazebos can transform the look of your backyard with a relatively small investment. 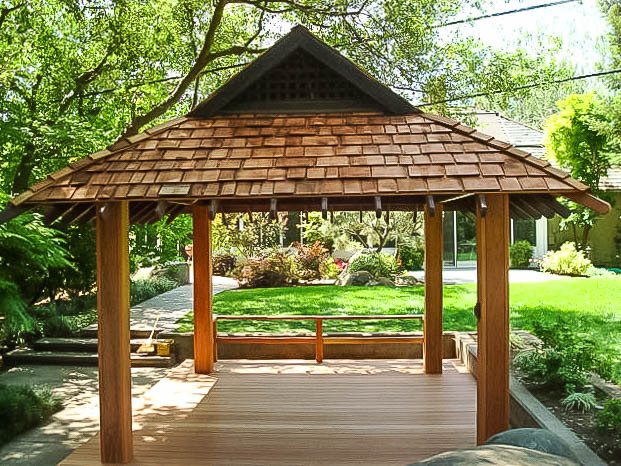 A gazebo is generally defined as a freestanding, open-sided structure with a solid roof and (usually) a floor, though designers are constantly reinterpreting the form. Cedar and redwood are top wood choices for their stability and weather resistance, and both can be painted or left unfinished. Floors, which are often raised by one or two steps, may be wood, brick, concrete, or stone. Most often, the roof is clad in cedar shakes, though other materials, including copper and slate, may be used, particularly to echo that detail of the main house.